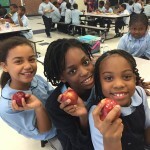 Students, staff, teachers and administrators across Detroit Public Schools collectively crunched on a Michigan apple to commemorate the First Annual Motor City Apple Crunch Day. 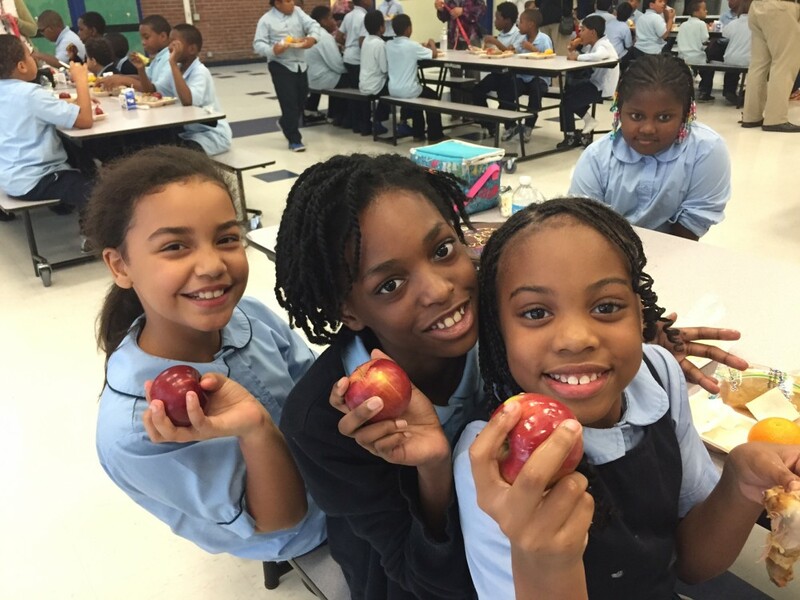 The initiative was part of the district’s ongoing efforts to promote healthy eating on Friday, October 24, 2014, which was National Food Day. In collaboration with the School Food FOCUS Upper Midwest Regional Learning Lab, Food Day was marked across DPS with a lunch menu highlighting three items commonly produced in the Midwest: chicken drumsticks, potatoes and apples. The DPS Office of School Nutrition cooked “clean label” drumsticks with minimal spices added. The drumsticks came from chickens raised without the use of antibiotics. Potatoes were sourced from Elmaple Farms located in Kalkaska, Michigan and packaged by A. L. Johnson located in Leroy, Michigan. The Michigan Apples (Jonathan variety) came from Klenk Orchards located in Grand Rapids, Michigan.